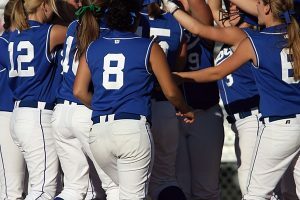 Given the vast number of softball glove choices available, it makes sense to narrow down your selection to what you can afford based on your personal budget. Not surprisingly, glove quality and durability increase dramatically as you go up the cost ladder,. 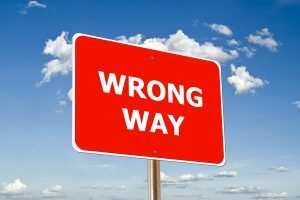 Nevertheless, there are still many great choices at the lower and middle price points that can last you several seasons. These gloves typically cost around $15 to $40 apiece. They are great training gloves for starting players, especially for youth league players who go through gloves quite fast, and might not yet need a permanent playing glove. 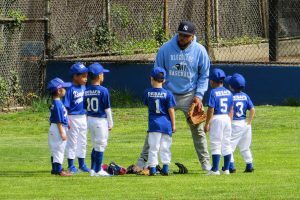 This cost tier also allows you to see if your kid gets the hang of the game before transitioning to a more permanent glove. Examples of low-cost gloves are the Louisville Slugger Diva, which aside from youth sizes, also comes in fun neon colors that young players will most definitely appreciate and adds character and uniqueness to their game. 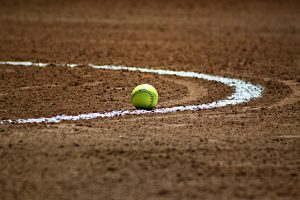 The Wilson A360, which is a perfect 14-inch glove for all positions for slowpitch softball, has a roomy ball pocket and a hand size which can easily accommodate a large softball. The Easton Youth Series sports a great look with its solid crimson body laced with blue to give your young player a bit of a boost and an inner enthusiasm whenever he or she steps out onto the field. These gloves fall somewhere between $55 to $80. Either youth or adult-sized, you can expect that these gloves are not too permanent in nature, and are great starters for when you have a bit more budget and want to upgrade your glove as you progress. Since they cost a little more, you can also expect that they’ll last a bit longer and perform a little bit better too, depending on the brand you buy. 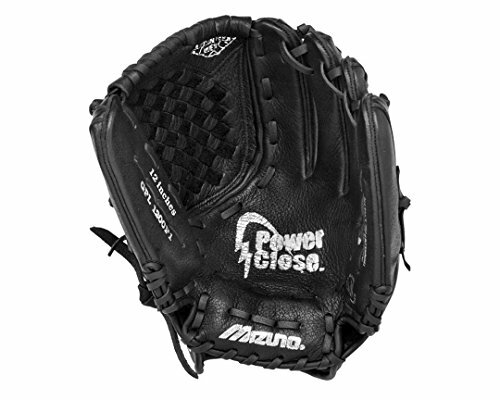 Some of these brands are Mizuno Prospect, which is built with PowerClose, PowerLock, and ParaShock technologies—the perfect combination for a flawless catch every time. The Worth Mayhem Series boasts an all-leather shell and custom fit adjustable back that can hug your hand, no matter what size you are. 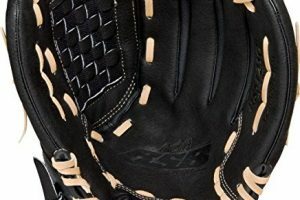 The Mizuno Franchise is coated in durable Java leather and has SureFit foam that gives you added comfort and a more customized feel as it molds to your hand. These mitts run for around $100 apiece—anywhere between $90 to $130. They fall somewhere in between a start-up glove and a longer term investment. 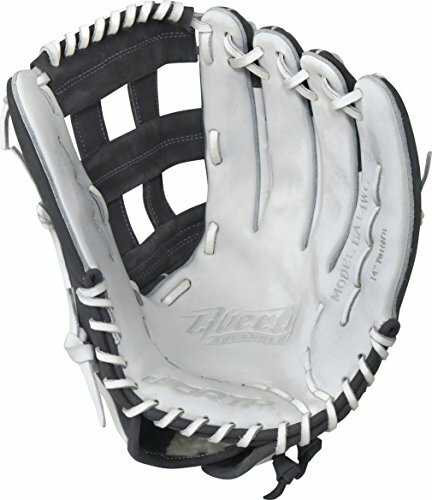 You can use a glove like this as a more permanent playing glove, especially if you cannot afford the higher end of the glove spectrum. 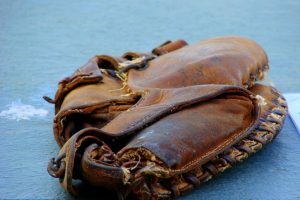 Actually, some of the most reasonable quality and practical gloves come from this class of softball gloves since they can give you a great balance of quality and cost. 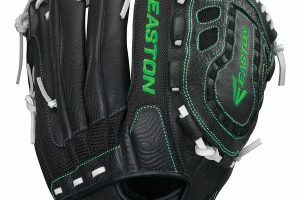 Some of the best from this class are the Easton Salvo Elite, which is made from very durable steer-hide leather and features a special VRS padding that significantly reduces the sting from the impact of an oncoming ball. 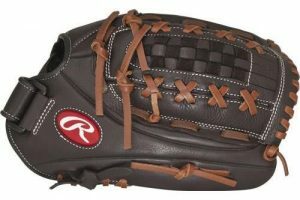 The Rawlings Gold Glove Elite Series boasts a Pro Soft leather stitch and offers an easy break-in for players right off the shelf, along with durable cowhide leather. The Miken KO Series makes sure you don’t feel a thing with its special Poron XRD padding to keep you shielded from the sting of a fly-ball impact, and makes sure it sticks with you through all gaming seasons with its tough grain and tanned leather make. 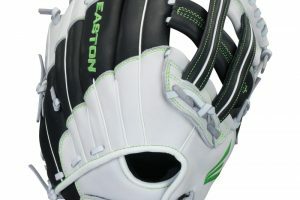 For this glove cost type, you can expect to be spending upwards of $150 dollars. Some gloves can even cost upwards of $300! If you are planning to splurge on a lifetime permanent glove, it is definitely an investment. You can expect the gloves on this end of the spectrum to be made with only the best material and with only the best craftsmanship. Gloves of this caliber not only are expensive, but are also unique because they are often not readily available or mass produced. For this type of gloves, quality is far more important than quantity for a manufacturer. 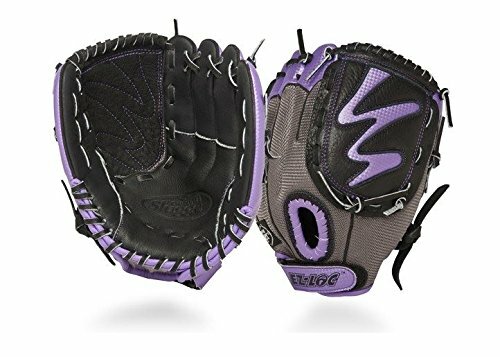 The Worth Liberty Advanced Series is one of this kind of softball gloves, and aside from the durability and quality of its make, it is built with a special finger shift design which allows for an easier closing and lessened ball impact to the hand. The Nokona Walnut Leather is another example of such product craftsmanship since one look alone tells you that the glove is indeed of higher caliber. Its shell, overall body and webbing, as well as laces, are made of vintage walnut leather. Finally, the Nokona Buckaroo — aptly named because it will set you back quite a few buckaroos — is worth the price since it is made of unbelievably durable but also amazingly lightweight kangaroo leather. 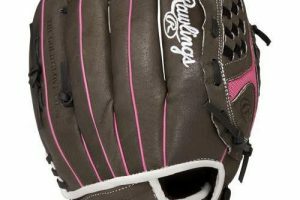 If you’re interested in learning further what the major brands offer at every price level, we’ve done an overview of the gloves offered by each of the biggest players in softball.